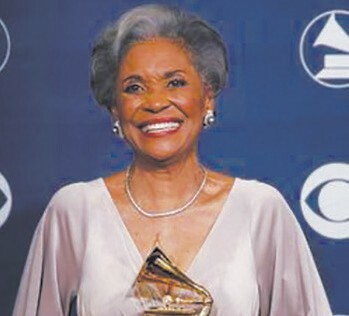 Nancy Wilson, the Grammy-winning “song stylist” and torch singer whose polished pop-jazz vocals made her a platinum artist died last Thursday after a long illness at her home in Pioneertown, California. She was 81. Wilson, who retired from touring in 2011 was influenced by Dinah Washington, Nat “King” Cole and other stars. Wilson covered everything from jazz standards to “Little Green Apples” and in the 1960s alone released eight albums that reached the top 20 on Billboard’s pop charts. Elegant and un- derstated, Nancy was best known for songs such as her breakthrough “Guess Who I Saw Today” and the 1964 hit “(You Don’t Know) How Glad I Am,” which drew upon Broadway, pop and jazz. Active in the civirights movement, including the Selma march of 1965, she received an NAACP Image Award in 1998. Wilson was married twice and had three children.